I'm changing the title of the monthly Books I Finished In... post into the shorter and catchier Recent Reads. So, here it is... 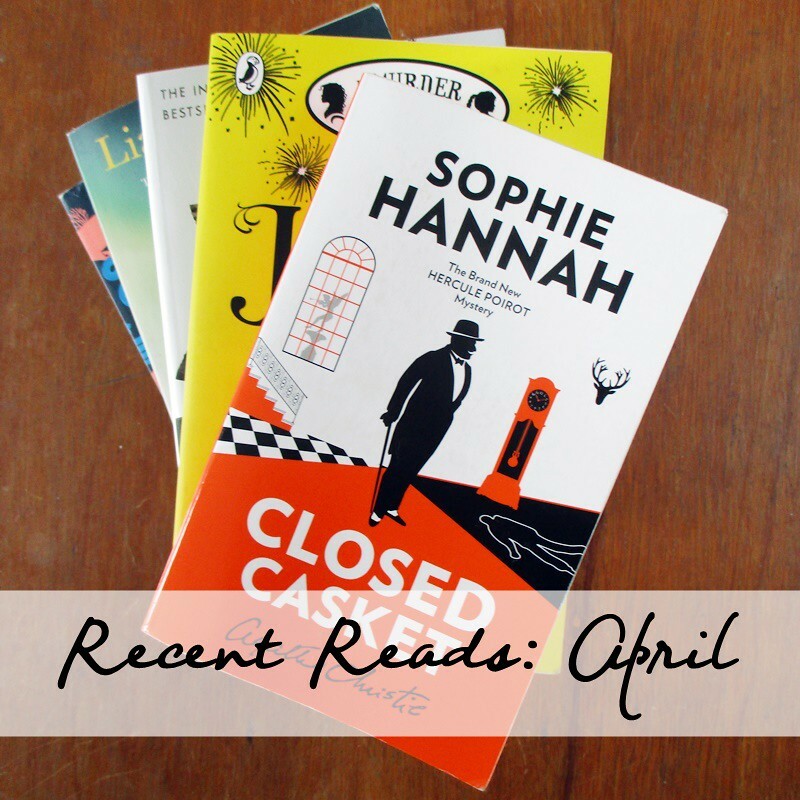 Recent Reads: April. It's a good thing that there are quite a lot of books in this series because I like it very much. 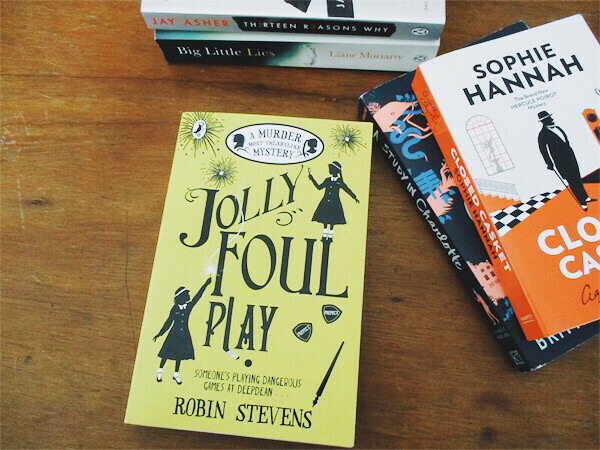 I hope Robin Stevens is planning to keep writing and producing more and more books in this series, like Agatha Christie did with all her detectives and sleuths. In this book, the girls are back again in the Deepdean School. Someone is murdered and secrets of older students are out. 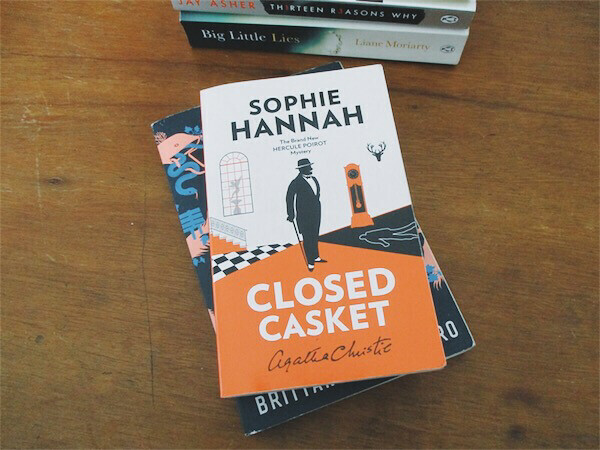 The Detective Society has grown quite bigger than in the previous books, so Daisy and Hazel are not alone in solving these two cases. I must say that this book is kinda scary compared to the previous ones in the series. The victim is a student and two students also go missing, so the girls are actually involved instead of being the outsiders looking in. I like this book very much, maybe even more than the previous ones I've read. 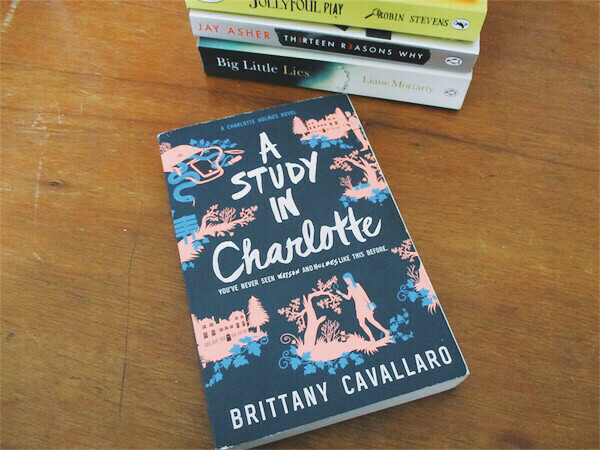 In A Study in Charlotte, we are introduced to Charlotte Holmes and Jamie Watson, the direct descendants of Sherlock Holmes and John Watson who happen to be the same age and go to the same boarding school (though it's a setup done by Jamie's father). A student is murdered and the clues point to the two of them, so they have to solve the mystery while avoiding being arrested for the murder they didn't do. Every book blogger I follow praises this book. Unfortunately, the bookshops in Bandung and Jakarta don't have it so I had to order it online and wait patiently for it to arrive for almost a month (international shipping is so ugh!). It's so worth the wait! Although it's weird to read that Holmes and Watson are romantically involved (I'm not a JohnLock shipper, sorry...), I like the characters. I like Charlotte's personality and Jamie's rage (is that bad? Lol). I also like Jamie's relationship with his estranged father and his new family. 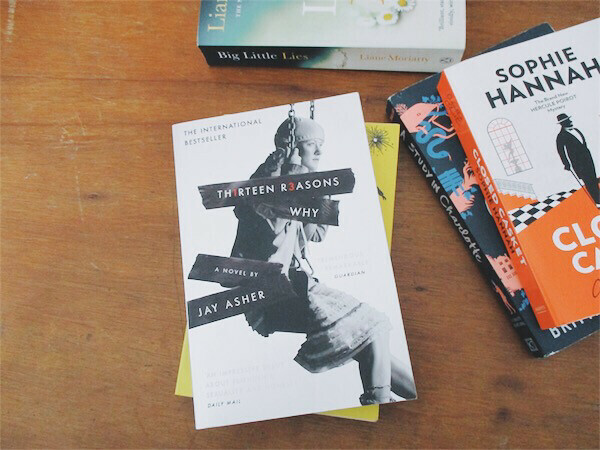 I'm currently waiting for the paperback version of the second book to be available in Book Depository. Why would a rich children books author change her will to leave everything to her dying secretary instead of her two children? The reason might surprise you for a second and make you roll your eyes immediately after. It's very silly. While I like the majority of the characters in A Study in Charlotte, I hate everyone in Closed Casket. Nobody is likable. The case itself is good and very Agatha Christie-ish, but the characters are awful. Yes, that's including the Hercule Poirot. Big Little Lies shows us how our action can change other people's lives forever. It's heartbreaking but also quite funny. With the HBO series finale getting praises everywhere on the internet, I became very curious about this book. I decided to read the book first before watching the show. I've been looking for adult books to read because every book I've read is YA and Big Little Lies won my heart right after I finished reading the very first page. I really like it! 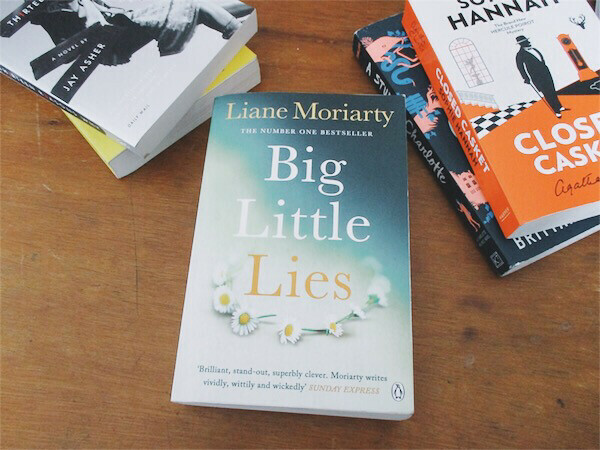 I'm definitely going to read more books by Liane Moriarty. When someone kills themselves, we may never know and understand what drives them to do that. But before she committed suicide, Hannah recorded cassette tapes and set them to be sent around the thirteen people responsible for her actions after her death. This book was also bought by me because of the words about the Netflix show going around on the internet. Some people like it, others say it's sending the wrong message. But I must say the book is very good and well written. It's a quick read, I finished it in less than a day, but it left a huge hole in my heart. I cried halfway into reading it. It's very heartbreaking. But I read somewhere that the show has several differences from the book. I haven't seen it but I will when I get the time. It's Netflix, so I'm probably going to finish the whole show in one seating. Whoa, that's still quite a lot of books, isn't it? Haha... But I'm taking it veeeeeeryyyyy slow this month. 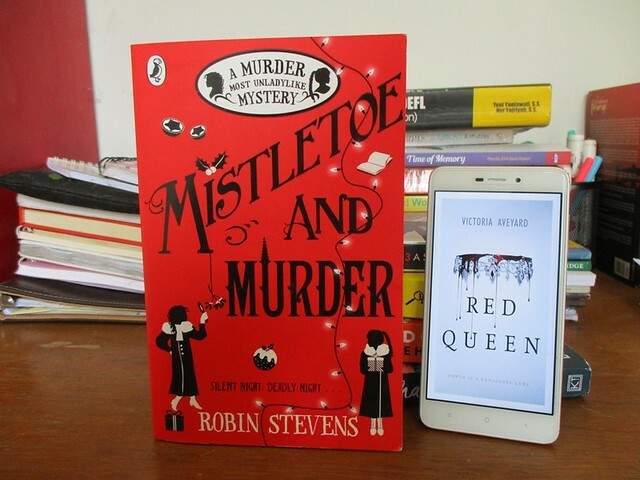 I'm currently reading two books, Red Queen and the next installment in the Murder Most Unladylike Mystery series, Mistletoe and Murder. I started Red Queen in March but I'm still halfway through it. I started Mistletoe and Murder last week but I haven't finished either.